When the awesome geek is having company round the house he wants to set the mood, make sure that the whole living space is filled with the scent and attraction and lust. He of she does not turn to convention to set the tone of the evening. No, instead he turns to something that is modern yet to the naked eye would appear to be simply regular. The awesome geek does not burn fingers, the awesome geek’s candles are in fact rechargeable and smoke free. The set pictured are my own, and are made by the lovely company Philips. 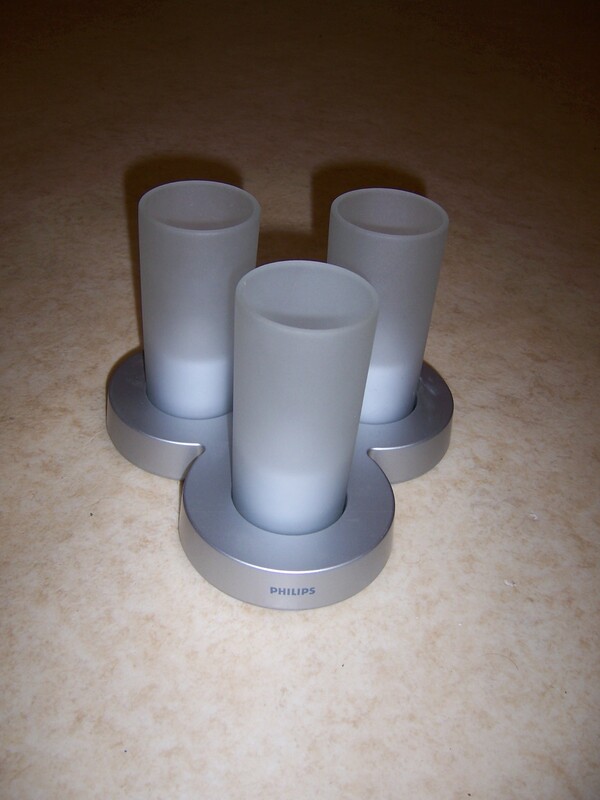 This set come with three “candles” in the box as well as a recharging dock. They are so simple and effortless to use that any granny or mother could figure it out. To turn them on you flip them upside down, and the same to turn them off. You get approx 24 hours of flickering goodness from a 12 hour charge, which is done by sitting them in the stand and pressing a big red button. They charge via magnetism I believe so they do not dock per se, they just sit on a piece of plastic. The light they give off is not strong enough to read with but it is a soothing light which is just like a tea light sitting in the frosted glass. 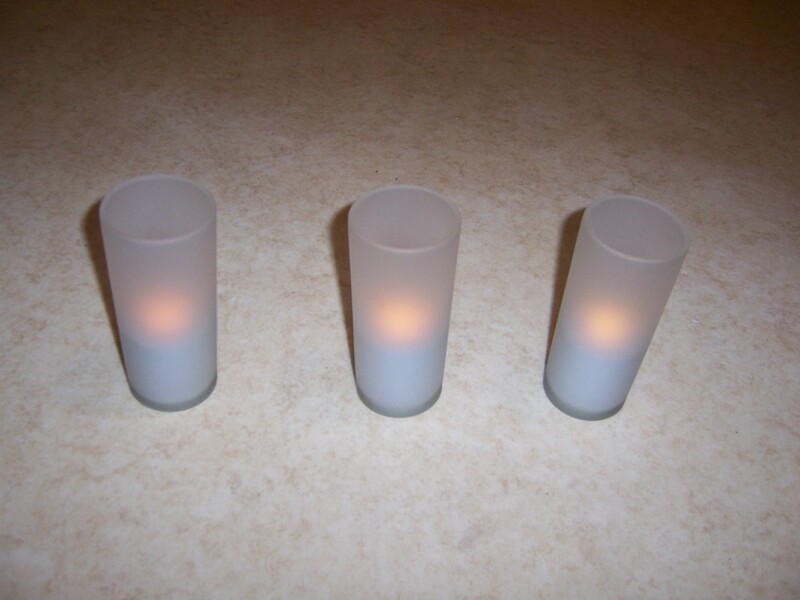 The awesome geek loves these fancy electric candles because they are extremely portable, very safe and just a great idea. Just don’t try to physically blow them out – you won’t get too far. 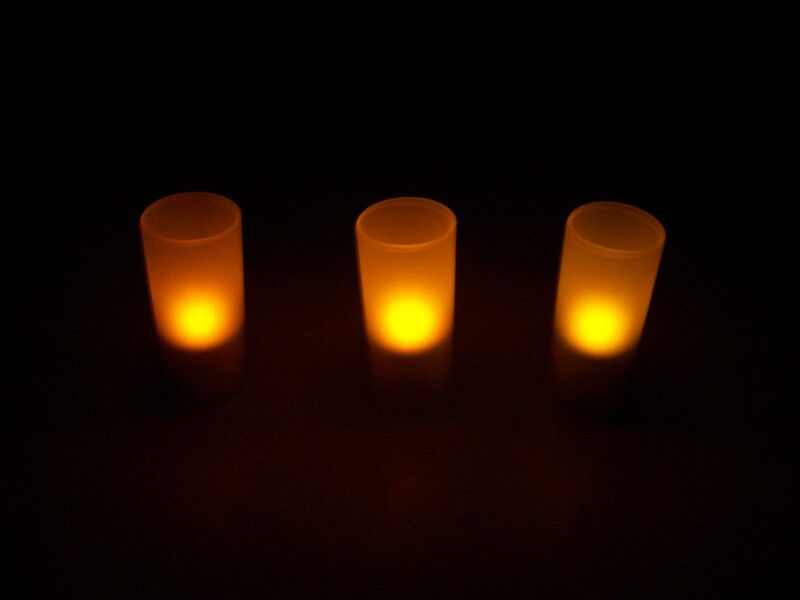 This entry was posted in Houseware and tagged Candles, Electric, Philips, Tea light by Jonathan Day. Bookmark the permalink.